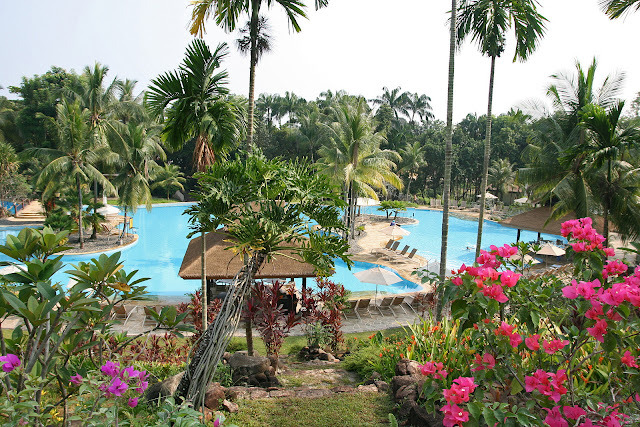 This time they have trimmed some of the foliage to streamline the look and also allow for a better view of the pool. 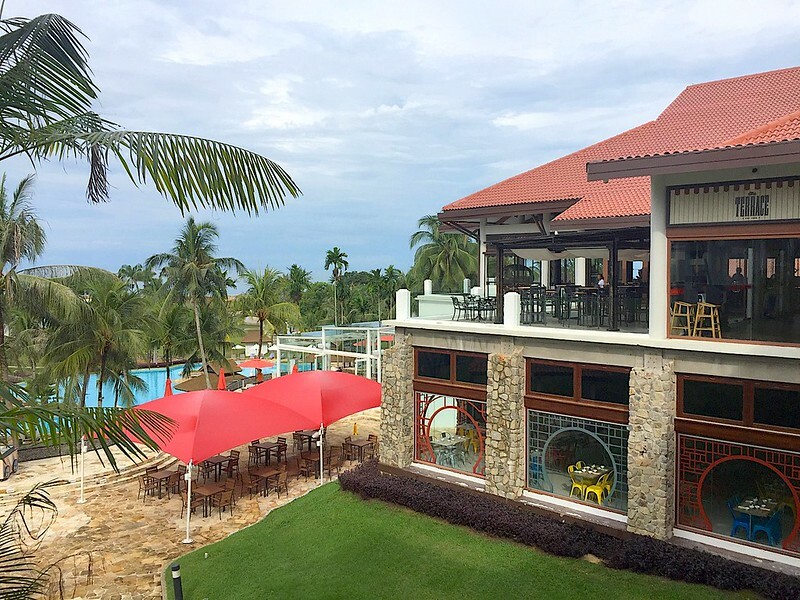 The bushes and flowers have made way for an extension of the Fiesta buffet restaurant. 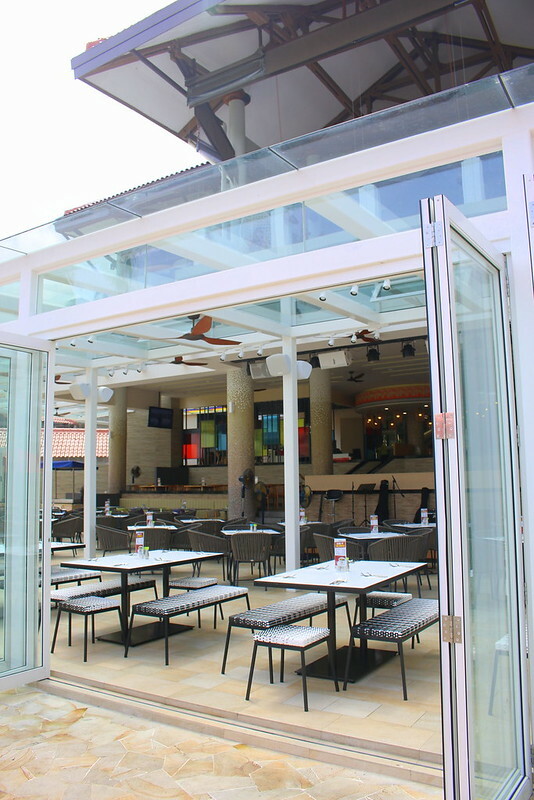 There's more al fresco seating in the sun. 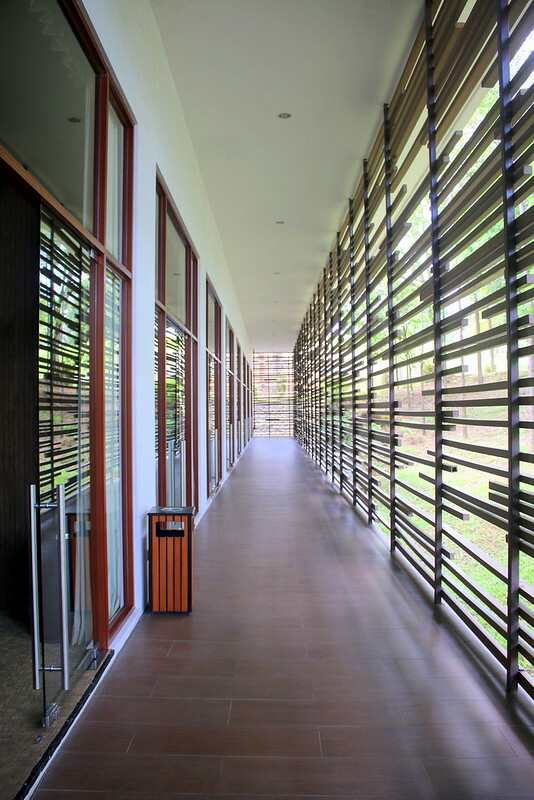 Glass ceilings and foldable doors shield you from rain while allowing as much sunlight as possible. 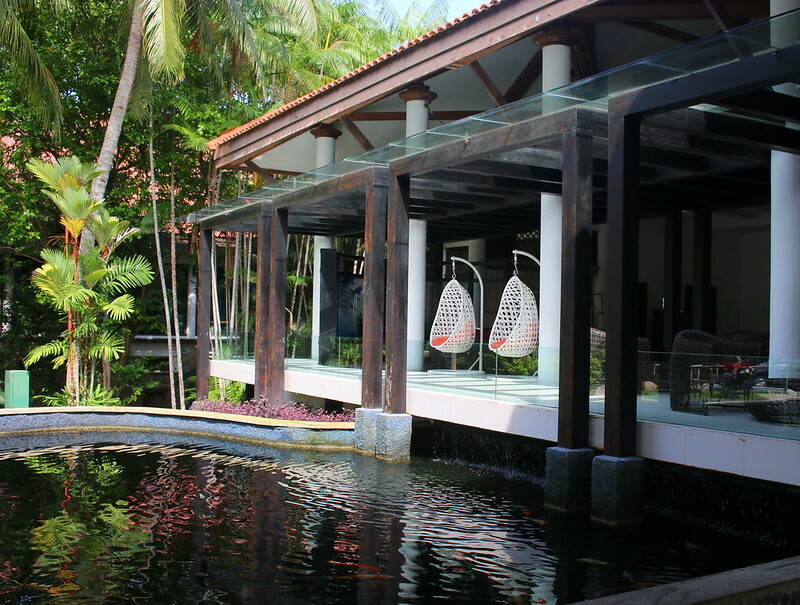 Out at the entrance and the main lobby, we spied white hanging rattan chairs with colourful orange seats. 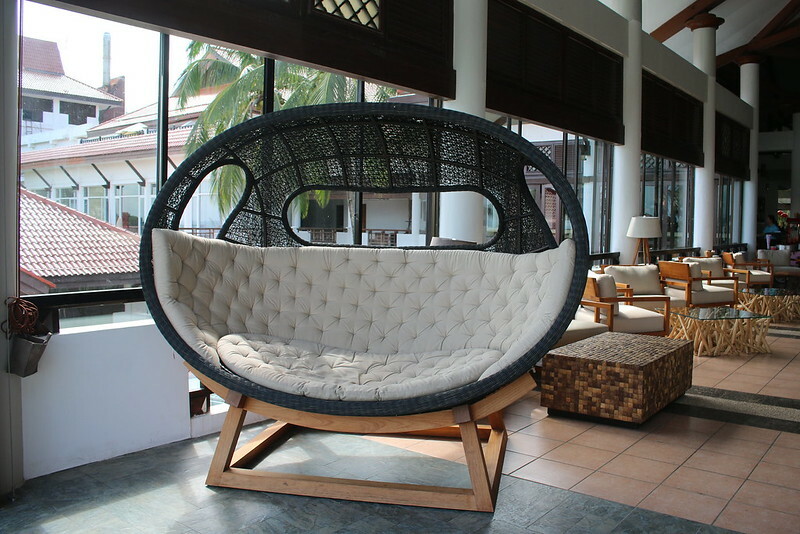 The same theme continues in other types of rattan seats like this huge egg-shaped lounging chair that could probably seat 3-4 easily. 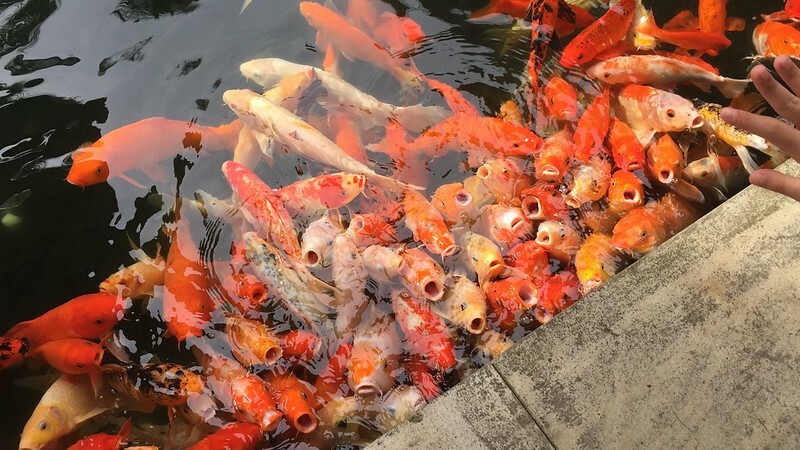 The koi ponds flanking the entrance are still there, but this time we noticed the fish are extra responsive and ravenous. We alerted the staff, who promptly showed us fish food for sale (IDR4,000 or so for a small pack). There's an entirely new building for conventions now. 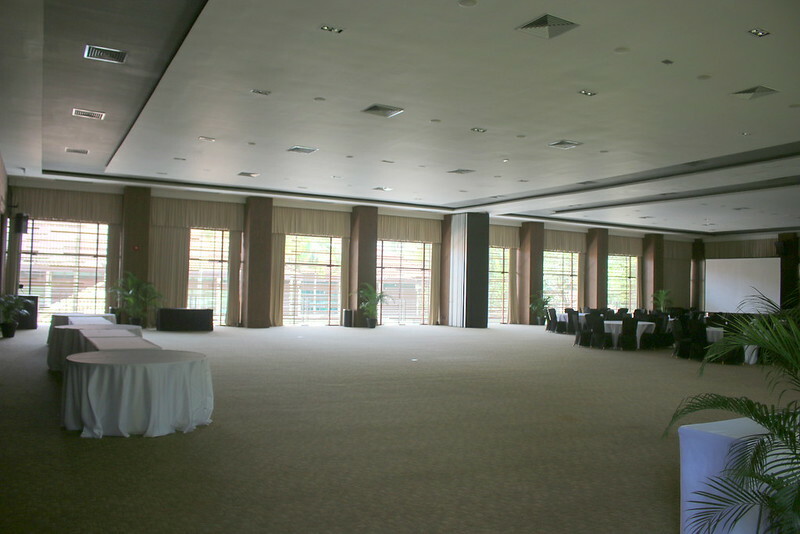 It can fit large corporate groups and cater for MICE industry needs. Families with young children will be delighted to know there's a Jungle Gym here for free. 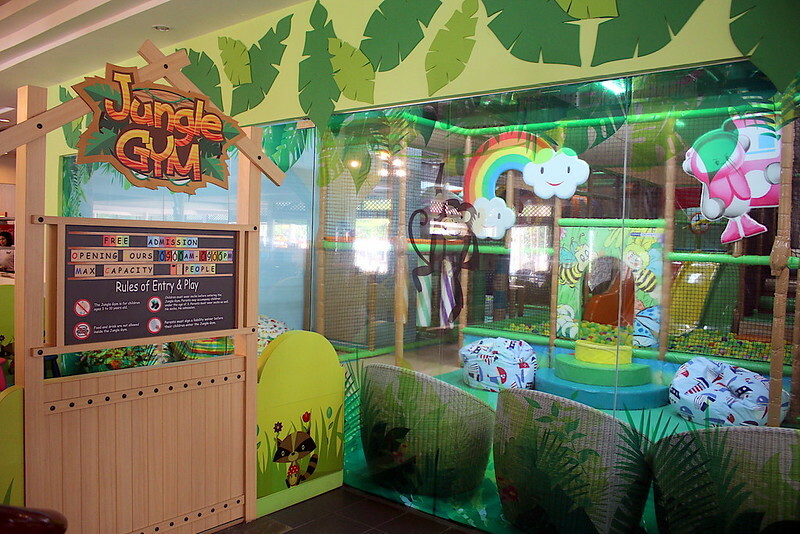 This indoor playground should keep kids happy for quite a few hours. Meanwhile, right across from that is the grownups' playground aka the gym. It looks pretty well-equipped. Oh I really swore I would check it out...but the rain kept me from coming. The children's pool is nearby too. But too bad some of the extras (like floating/tube noodles and paddle boats) are chargeable. 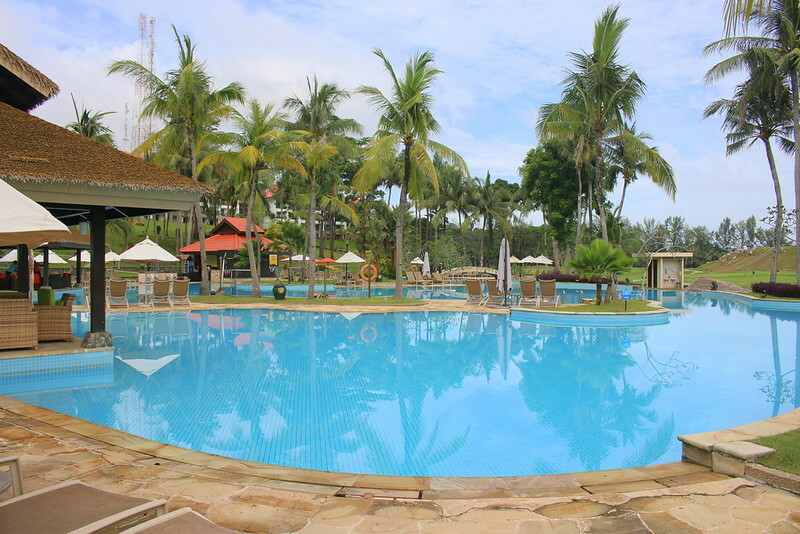 Truth be told, our favourite hangout was the adults' pool with the pool bar. It was just so nice to chill with the cool waters lapping gently at you. It also had a 2.3m deep section (I love deep ends). I don't know why we never came here previously. Well, the kids pool does have water slides...how do you beat that? We came here because one of the slides wasn't working. 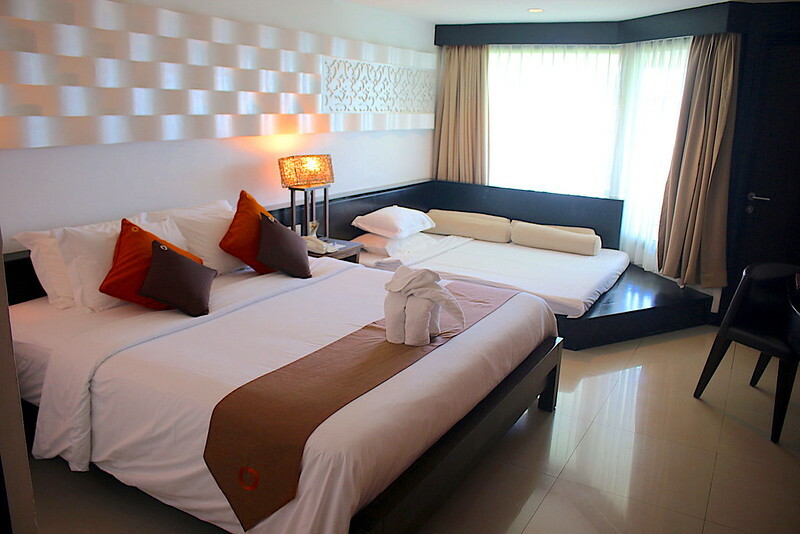 Rooms are pretty much the same. They still have that dark wood platform that can double up as space for extra bed/mattress. 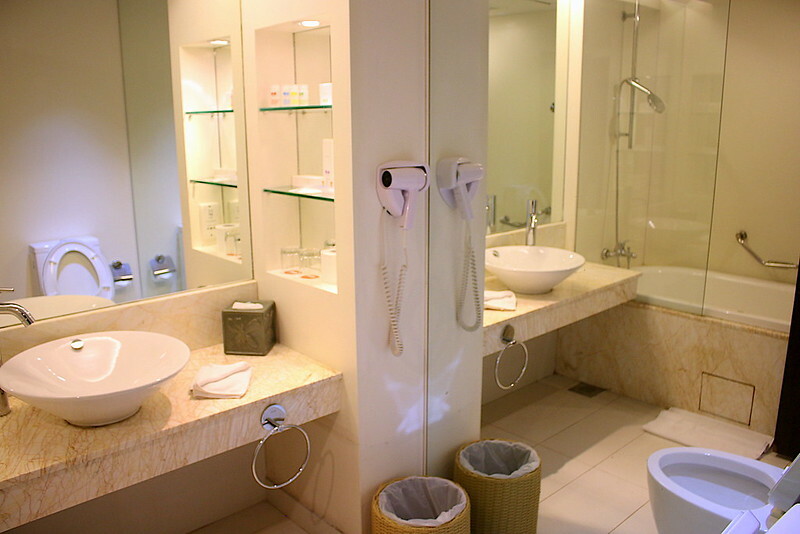 Bathrooms also have not changed. The food scene has morphed quite a bit though. 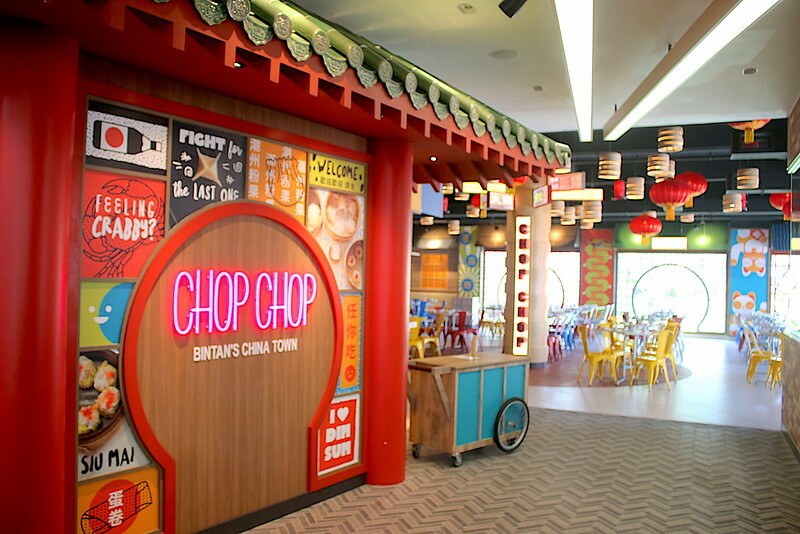 Bintan Lagoon Resort’s newest food and beverage outlet, Chop Chop, opened in Nov 2016 with the colourful sights and sounds mimicking Chinatown. It's located just below the lobby level, to the left of Fiesta. It's hard to miss with the loud, cheeky and fun graphic walls, hanging dim sum baskets and red lanterns. 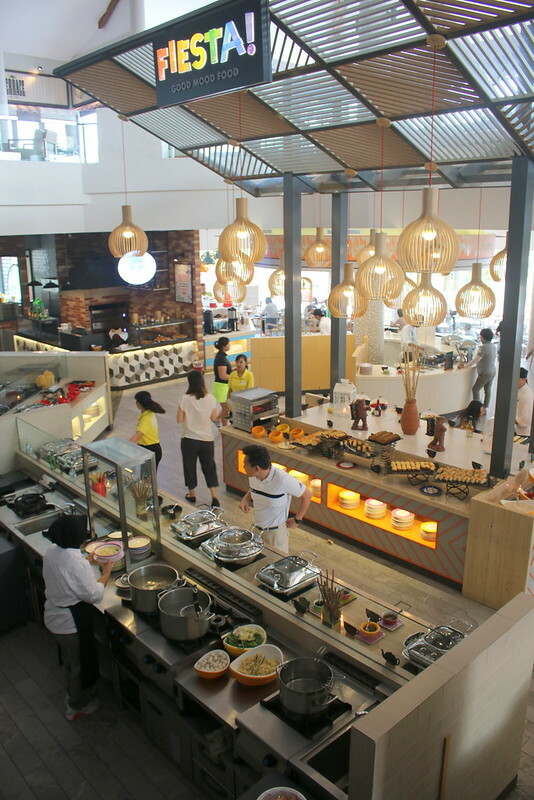 The outlet serves popular North Asian street food like steamed and fried dumplings, noodles and rice, stir-frys and double-boiled soups. Here's Chop Chop viewed form the outside. You can see the oriental motifs on the glass windows and some fixtures - a mix of rustic wooden table tops matched with vividly coloured metallic chairs perched on tiled floors. 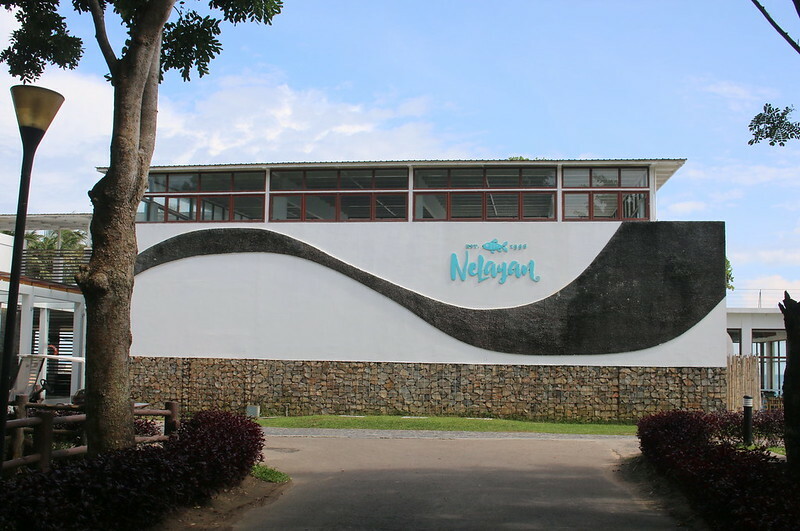 The main fine-dining restaurant RICE has been renamed Nelayan or "Fisherman" in Malay/Indonesian. 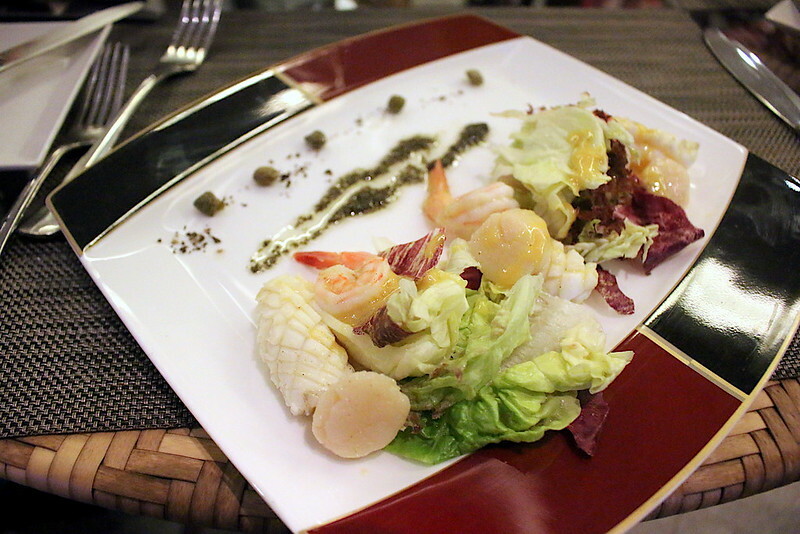 They serve a mix of local and Western dishes, and the menu changes from time to time. 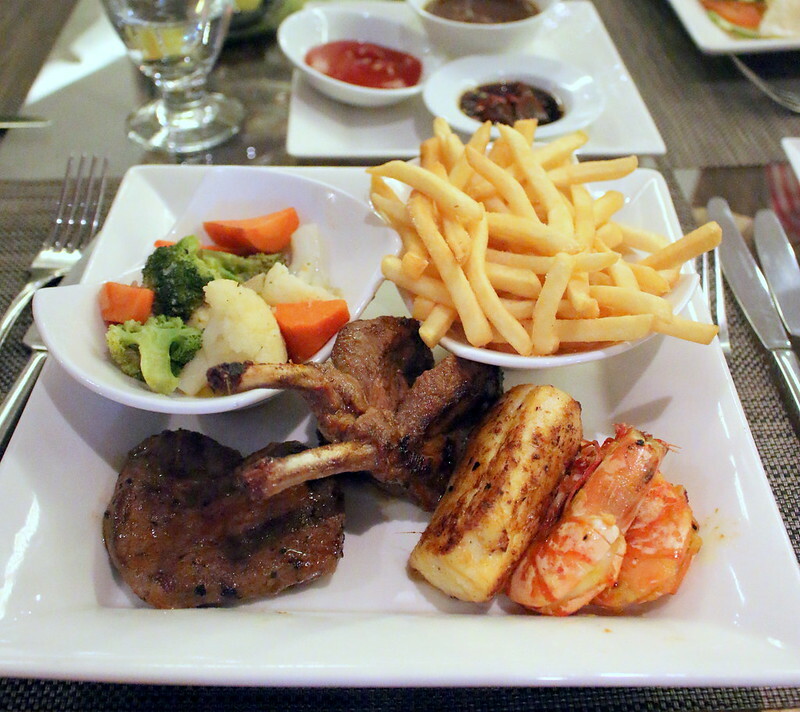 This was the best dish of the evening - the Mixed Grill which gives you a small steak, lamb rack, grilled prawns, salad and fries. Seafood on a weekday seems a little wanting. I think they bring in the most ingredients during weekends to cater for the surge, so that's actually when you get fresher ingredients. 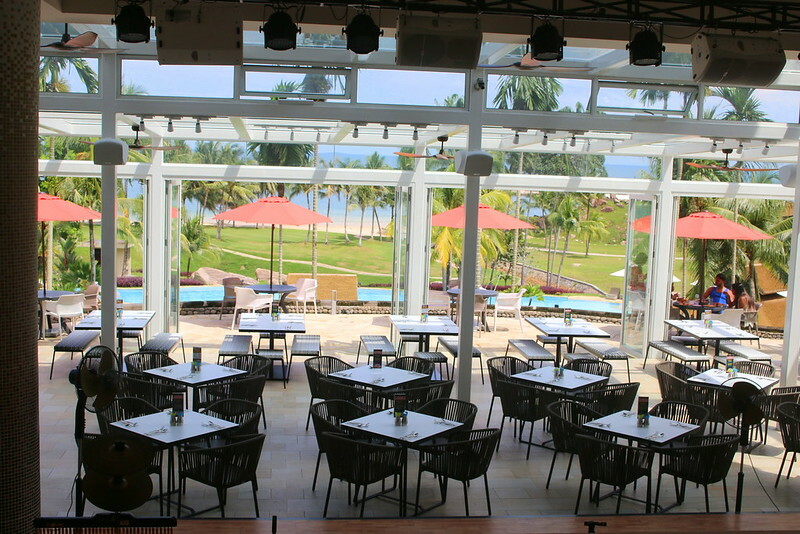 The buffet restaurant has also had a facelift. It's now called Fiesta and sports a clean, white, contemporary look. However, food choices seem to be simplified. I remember there used to be so much food laid out previously, with stunning variety. Now it's more...curated. 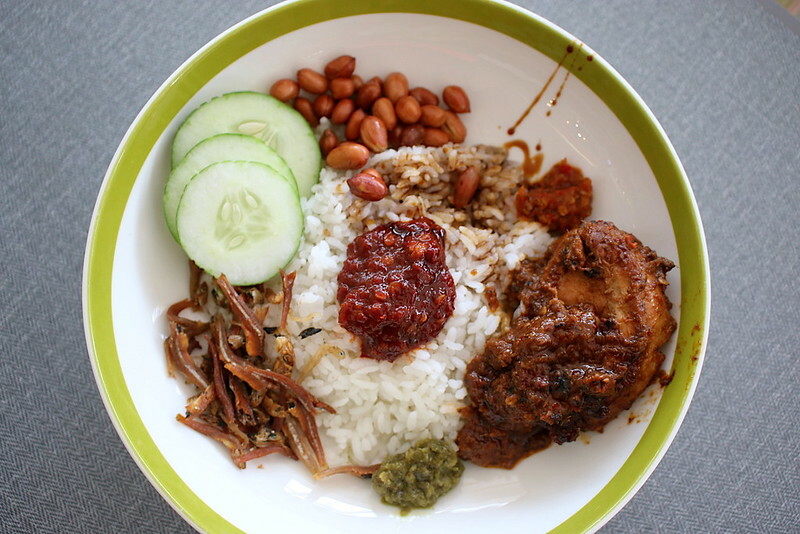 The best thing here we tried was the Nasi Lemak. You must get some of the green chili paste (cabe hijo) to go with the red sambal too. 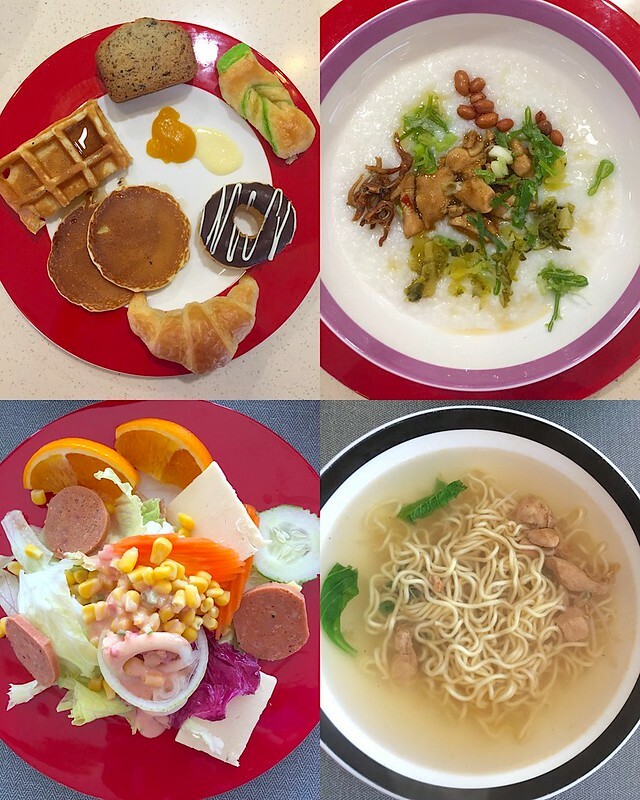 There's still enough breakfast choices for most palates. 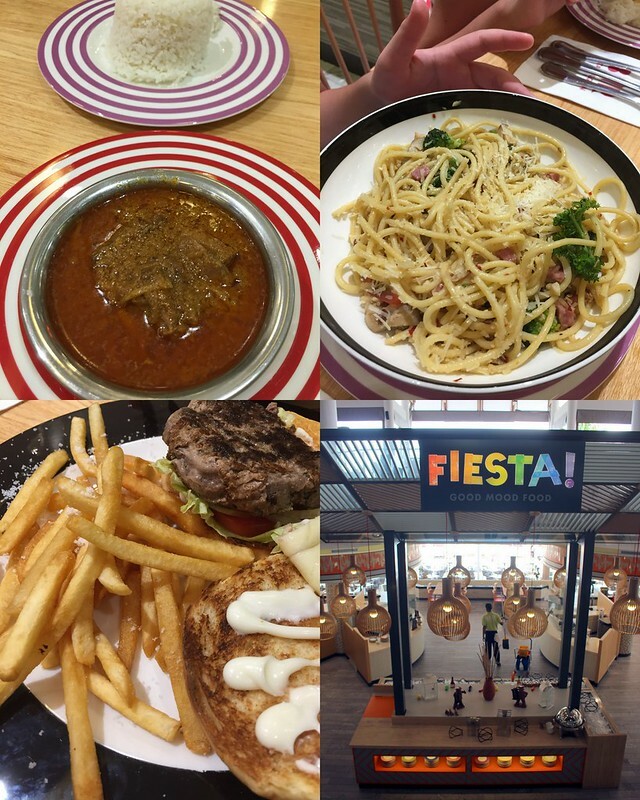 For dinner we had Fiesta's a la carte items; these are actually not too bad. Just a bit pricey. 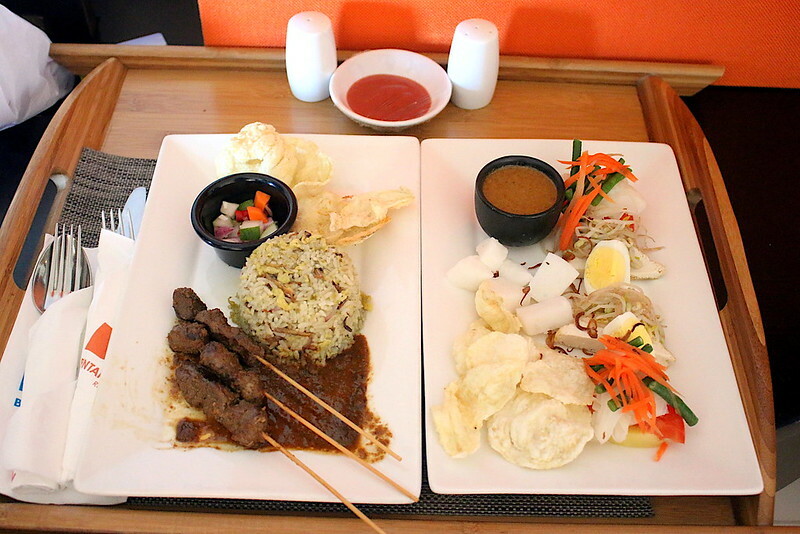 Room service - we tried the beef satay with nasi goreng and the gado-gado - was decent, but the beef is a little tough. 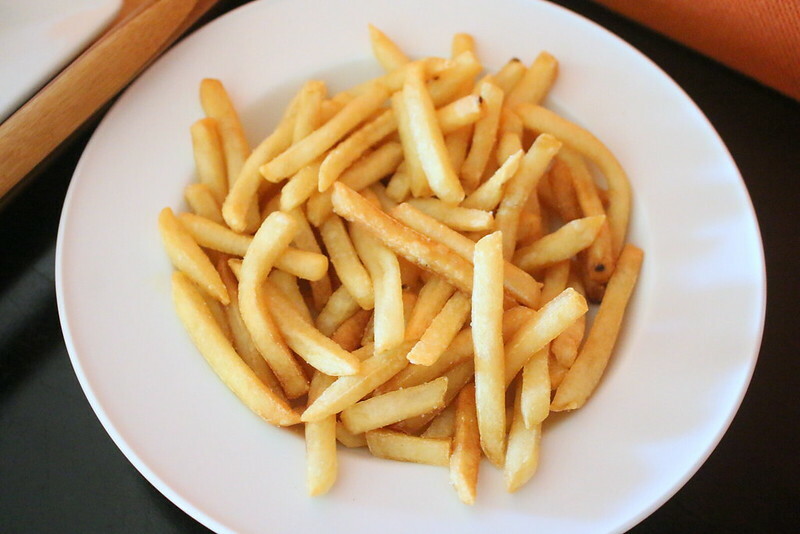 This is the item we ordered most frequently; the French fries are piping hot, nicely salted and crispy. At IDR120,000 (about S$12 or US$9), they were pretty pricey though. Food is not cheap here, admittedly. 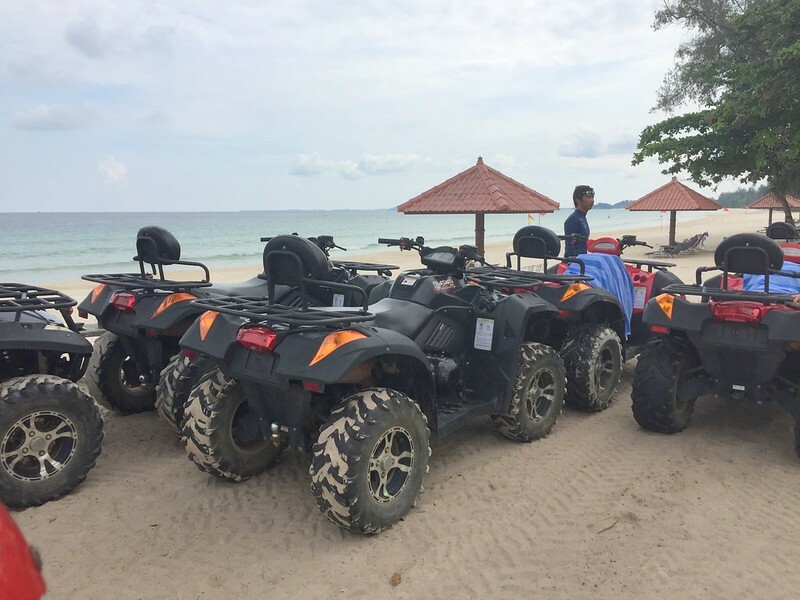 There are over 50 land and sea activities available including a day spa. 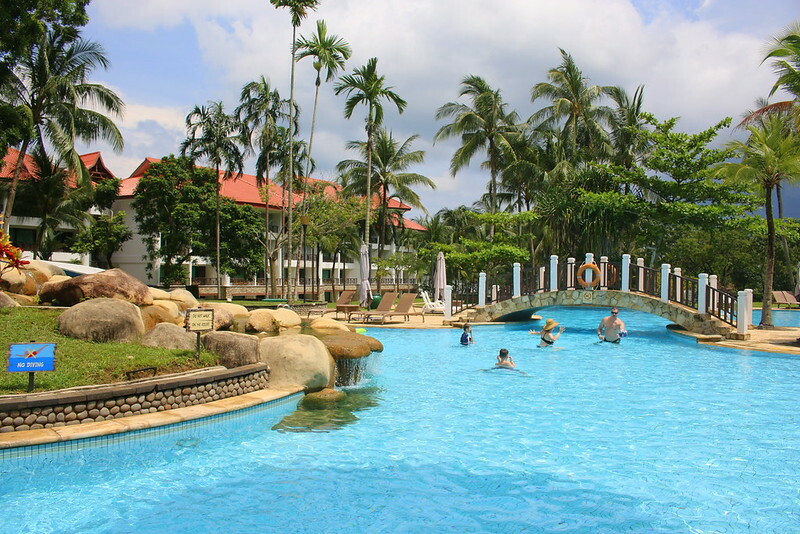 Billiard/ Snooker, Tennis/ Table Tennis, Basketball, Badminton, Futsal, Volleyball/ Beach Volleyball/ Beach Soccer, Mahjong game at the Leisure Centre (Level 2), Board Games/ Darts. 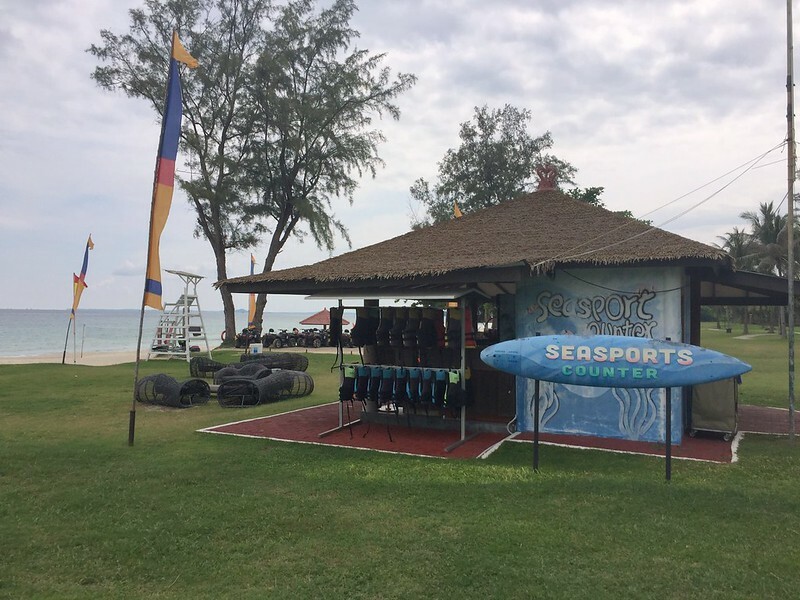 Leisure activities at additional cost: Bike rental and Tour, Batik Painting, Wii/ Xbox, Water Ball, T-Shirt Painting, Bamboo Keychain, Electric Car, Kid’s Fishing, Beach Telematch. 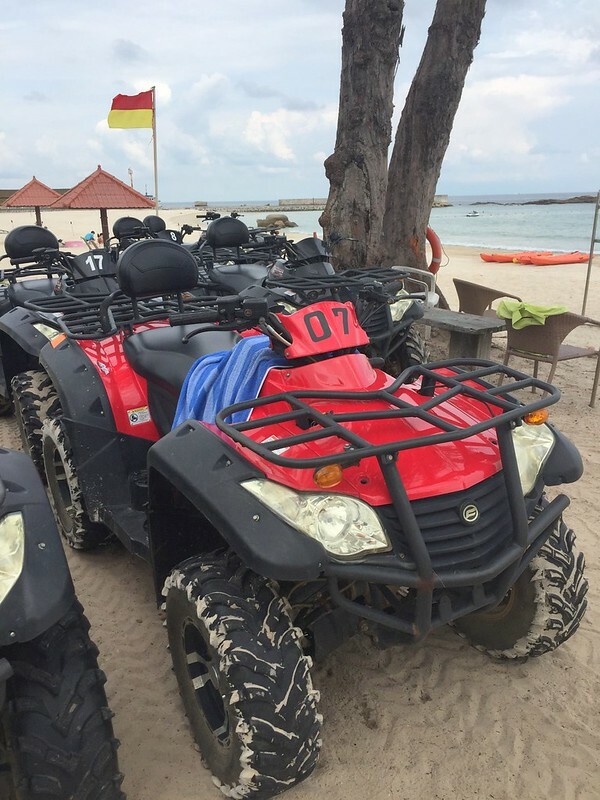 The ATV rides proved a lot more enjoyable than we expected. Manoeuvring these giant buggies on rugged terrain brings quite the thrill, especially on high speed. 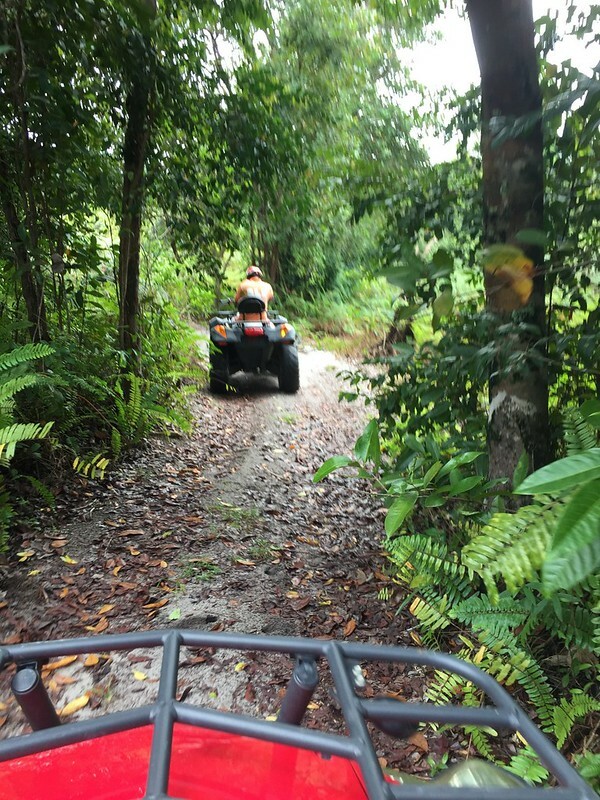 A guide will take you through the "jungle" on both wet and dry ground. Meanwhile, you can look out for on-going activities and promotions going on...like the upcoming FightShape Experience with Mitch Chilson. The FightShape Experience is a three-day fitness retreat that encompasses: Nutrition, Functional Fitness, basic MMA (mixed martial arts) and a complete vitality overhaul in just one weekend. 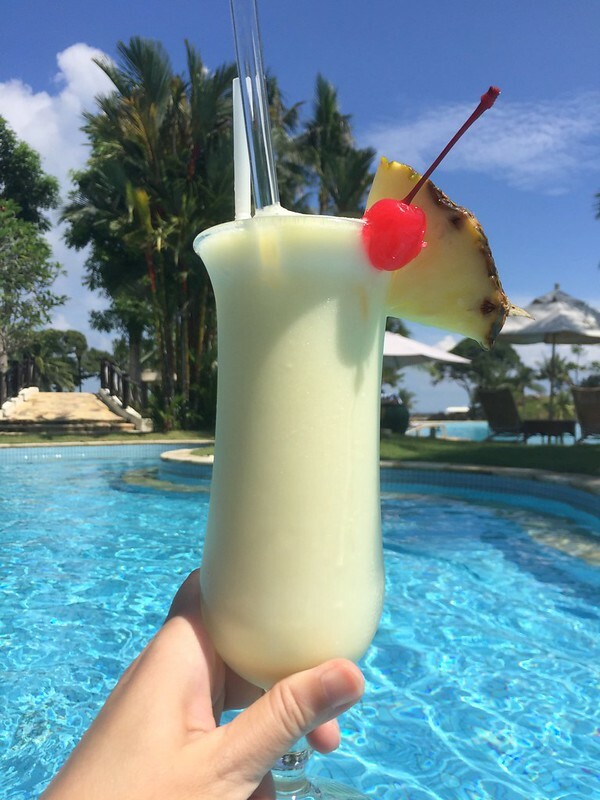 The goal is to recalibrate mind and body through a holistic approach combining a tailored training plan, nutrition, recovery, mental preparation, relaxation and rejuvenation to achieve sustainable results. 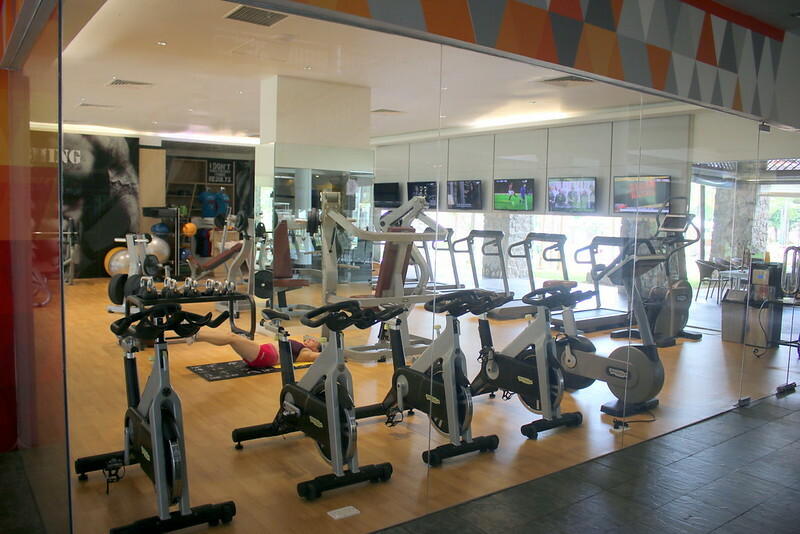 Each day comprises 10 hours of high and low impact activity focused on group classes and comprehensive fitness and nutrition seminars. The breezy beach side location of BLR provides a perfect spot for the program’s outdoor activities and unwinding between classes. As part of the intense regime, guests are put on a goal specific diet combined with high performance Buttr Coffee to kick start each day. Mitch Chilson is a certified personal trainer, nutritionist, strength and conditioning coach with a proven track record and a reputation for his cutting edge approach to fitness and coaching. Known as Mitch “The Dragon” Chilson in professional mixed martial arts (MMA), Mitch was awarded several titles in mixed martial arts. He has worked with some of the most prominent training facilities in Asia and is also a writer, TV host, ONE Championship commentator and motivational speaker. 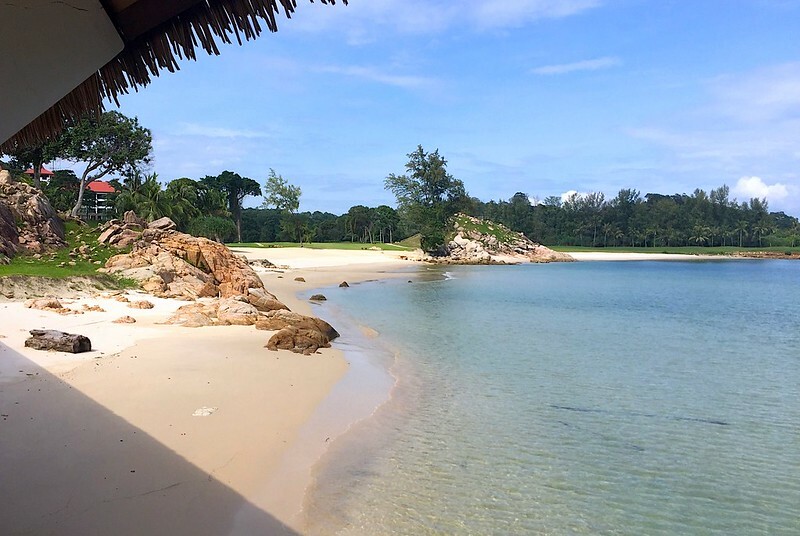 Well, even if you choose to do nothing, there's a good stretch of beach and clear waters to enjoy at Bintan Lagoon. Don't forget to pack sunblock! 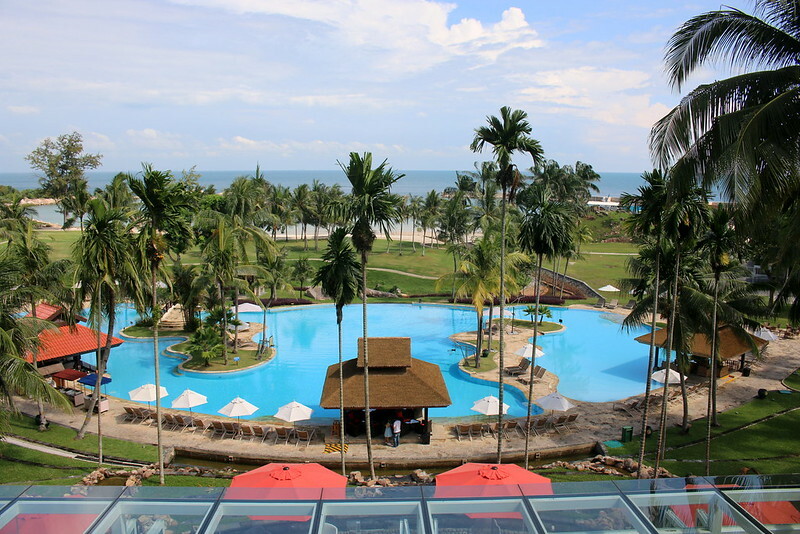 Hi, for the payments of the activities (land & sea), it will be done on the spot or during check out of the resort? I'm not sure, but I think it can be charged to the room.